Norway’s sexiest export since haddock in suspenders, Issa left a few people, myself included, with her last album ‘Can’t Stop’, on which she covered some little known AOR numbers. It just didn’t click like ‘Sign Of Angels’, and I for one was genuinely excited when I learned that she was again collaborating with Vega songmasters Tom and James masters for this album. 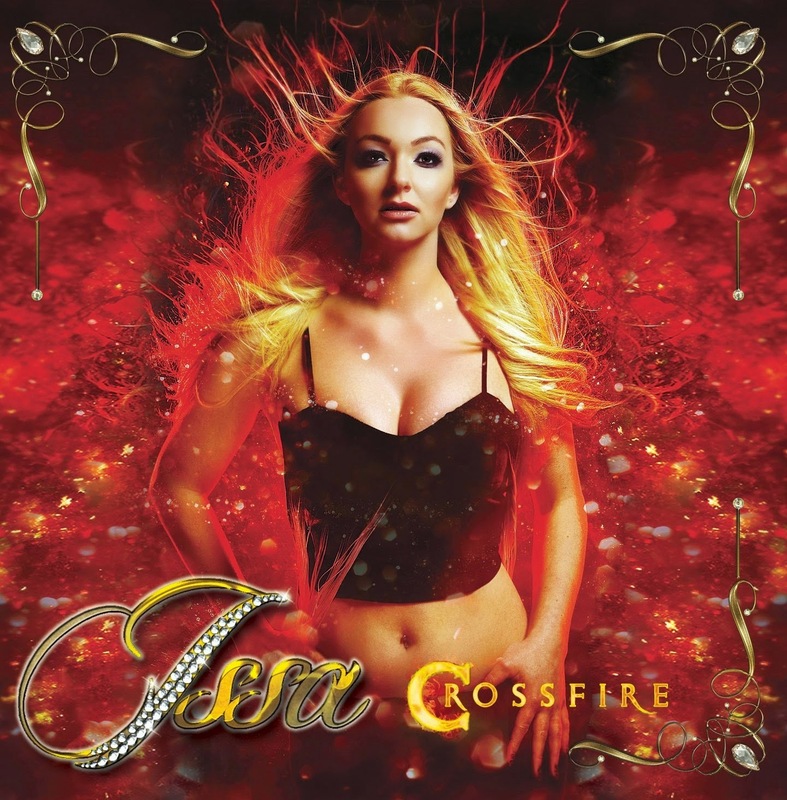 First up, I should clarify that ‘Crossfire’ does not sound anything like Vega, which is a very good thing. That may sound odd, as I love Vega, but Issa isn’t Nick Workman (he’s got prettier hair), and has her own style that the Martin brothers have worked with perfectly. What you get with ‘Crossfire’ is an AOR album. That may seem obvious, but this album is so AOR it could go beside those three letter in a dictionary. The songs are light, melodic and full of hooks and soaring vocals. These are the sort of songs that you could imagine Journey doing back in their heyday, such as ‘Fight Fire With Rain’, which would sound amazing if Steve Perry covered it. There’s plenty of mid paced jauinty rockers, like the immediately catchy ‘Hearatbeat’, ‘Only You’ and the title track that opens the album. A surprise to me is how much I like the ballad ‘Raintown’, where Issa teams up with Steve Overland to deliver one of the best ballads I have heard for years. TONY MILLS: "Over My Dead Body"
SAINTS TRADE: "Robbed In Paradise"
JJ GREY & MOFRO: "Ol' Glory"
ALL THAT REMAINS: "The Order Of Things"
DEEP PURPLE: "Long Beach 1971"
The LUCID DREAM: "The Lucid Dream"
GAMMA RAY: "The Best (of)"
LYNYRD SKYNYRD: Deluxe Vinyl Boxset"